Gapers Block - To be Demolished: 1438 N. North Park Ave.
1438 N. North Park Ave. Permit Description: Wreck and remove a two story frame building. Located on an Old Town block with many new construction buildings, this residence was purchased by the owner of the building two doors up the street. 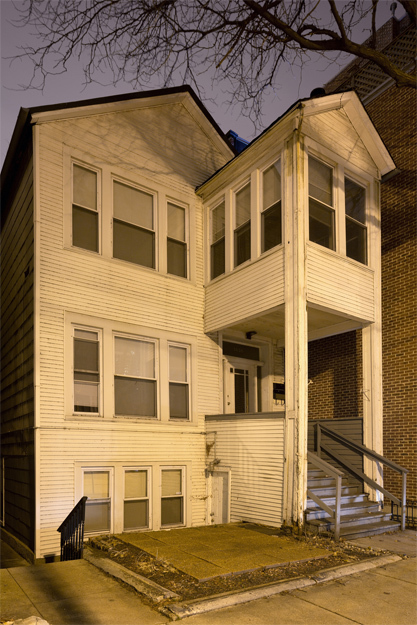 The building was issued 14 violations in July 2011, and five more in September 2011. A curb opening permit was issued for this address for the month of December.